I am not big on flash sites but this Organiggrid.com site made me look. yeah, too slow (on very fast connection). looks nice though. 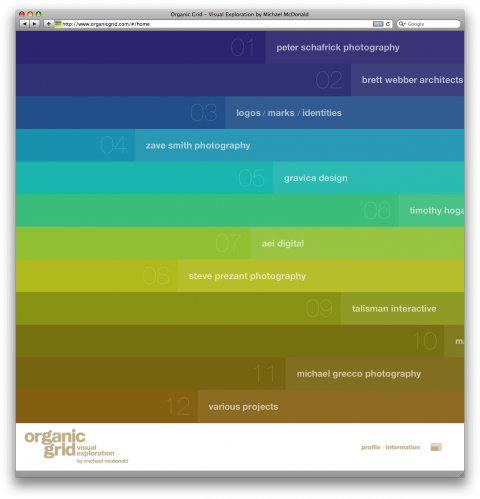 “I am not big on flash sites but this Organiggrid.com site made me look.” <—- My thoughts exactly. Well done.